Arranging a small home can be tricky. Therefore, we must maximize everything that can make the room feel bigger than it is. 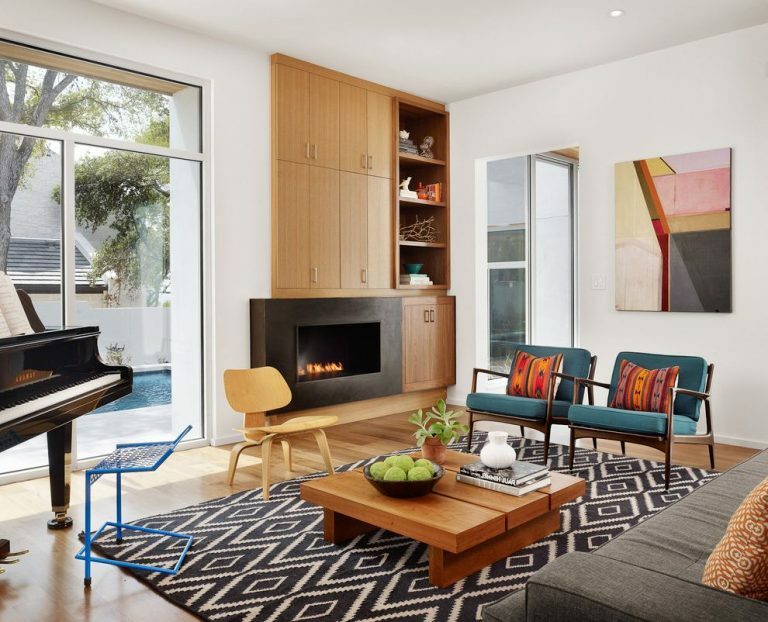 Decorating a living room, for example, could be pretty complicated if you’re only fixated on the space. No matter how small your living room is, it still can look cozy and wide. The key is in every detail you manage in that space. Including what curtain fits for a room that is not so broad. These living room curtain ideas will guide you to set the space that suits your needs. Of course, a living room must be the best hang out place at home. To make it feel more comfortable, although the size is not large, you can choose a bright curtain. But choosing curtain color is not as easy as imagined. It’s always become an issue that comes up when people organize the living room. Because everybody knows that curtains can really set the living room off. So, choose colors that are friendly with a narrow space, such as bright yellow. It will maximize the light in your room and give a fresh touch. You can add some matching ornaments to touch up the living room as well. 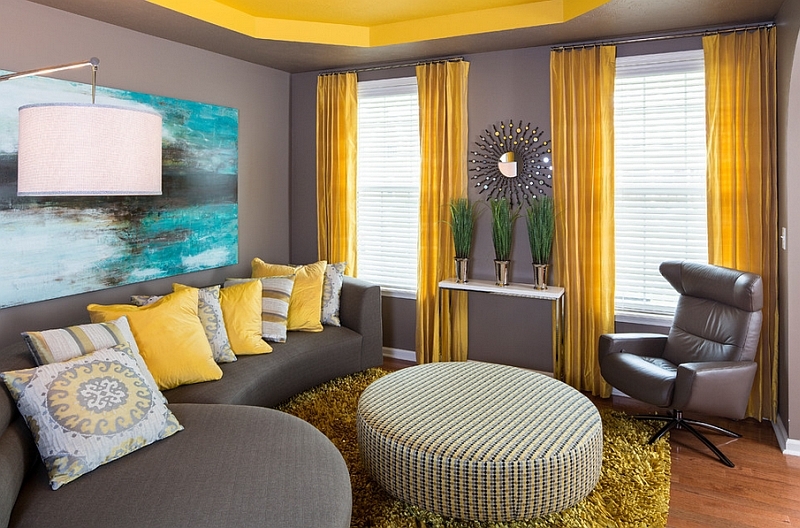 Like you can place bright yellow carpet and cushion to further enhance the mood in the room. The beauty of your home is often measured by how well you organize the living room. Besides, it’s also a family gathering area. So, this space should have welcoming and warm vibes. Thus, anyone wants to spend a lot of time there. 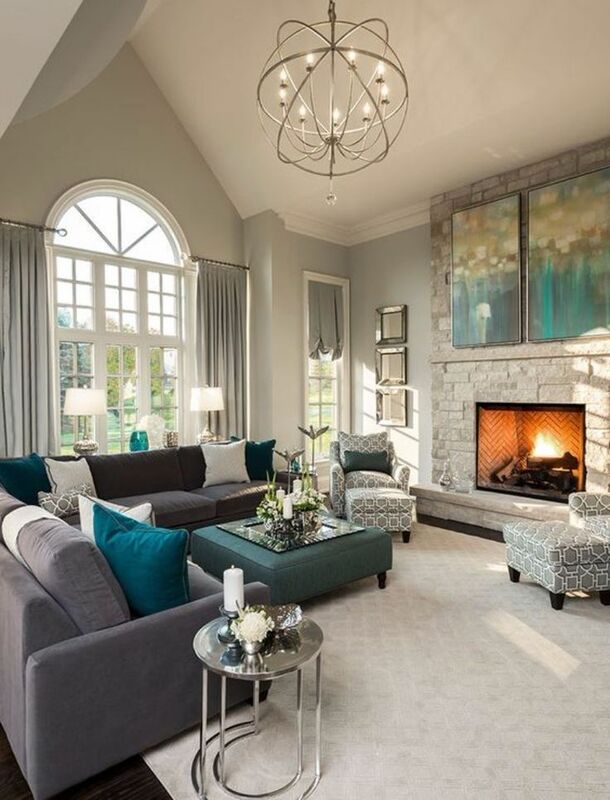 The hue with warm blue touch could be the right choice. It doesn’t make the room look narrow or give a dull impression. Also, it can improve the calming and soothing atmosphere in the living room. It would be better if you choose the one which has a unique pattern. Instead of making it look boring, that would be a great visual interest to your space. Curtain not only makes the room look more vibrant but also has other functions such as giving the larger impression to your space. So, don’t be surprised if choosing the right curtain is a little problematic. 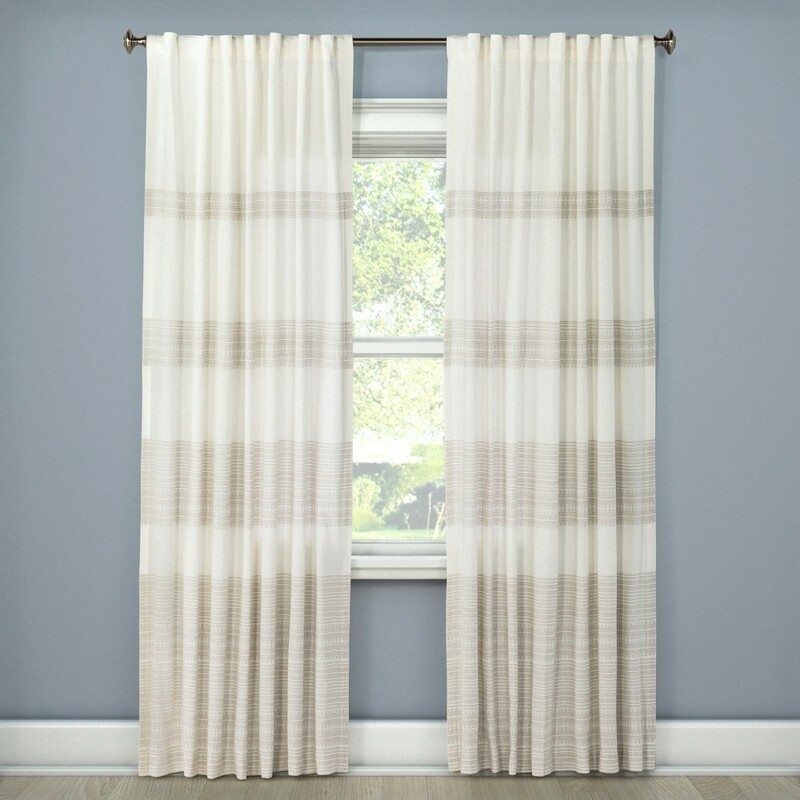 But there is a safe option that you can always choose: stripe curtains. It works very well for all styles and purposes. 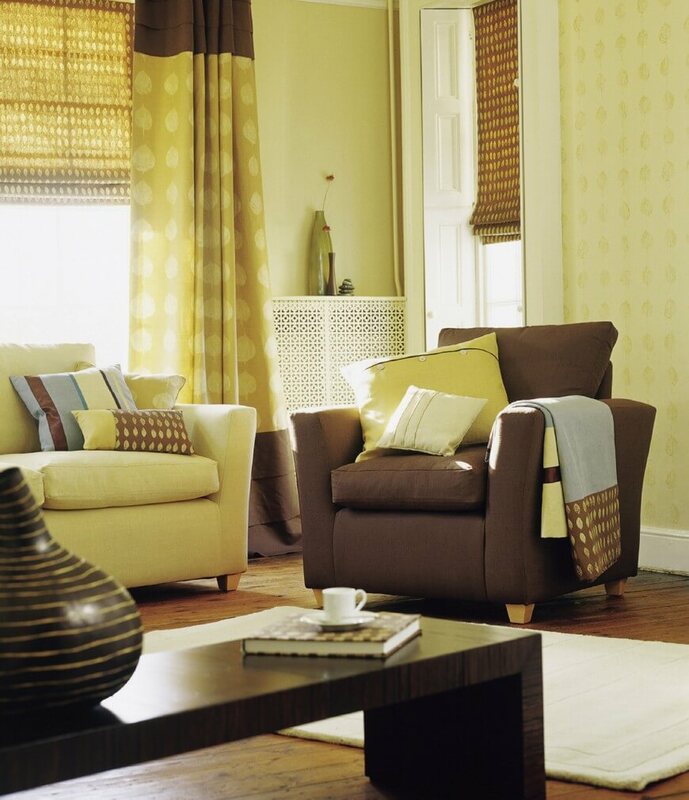 To expand the look of a narrow living room, for example, you can pick stripe curtains with a vertical line. When working with vertically striped curtains, the hue combinations should be taken very seriously. 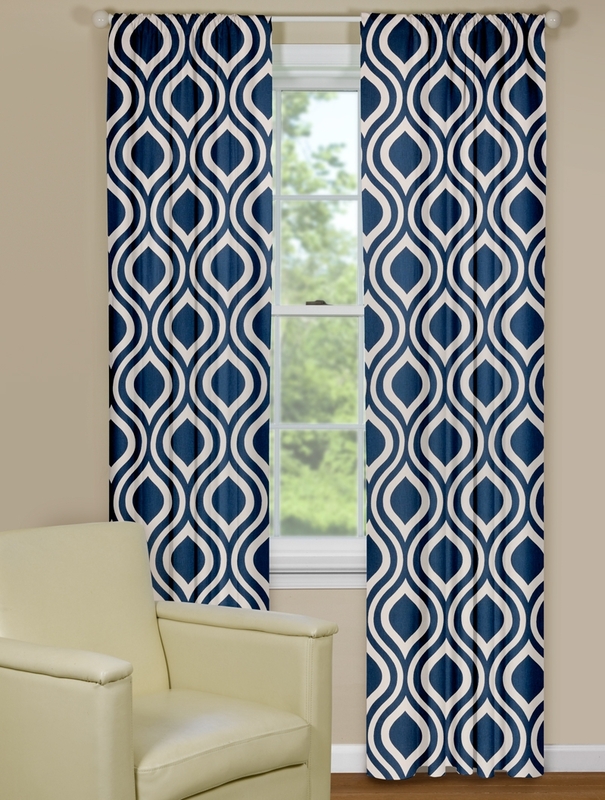 You surely want the curtains to catch the eye without overwhelming the whole design. For you who like a touch of minimalism, the combination of black and white could be a good choice. This is because both are neutral colors that can fit into any decorating style. The use of curtain should not be limited to window treatments. It can be used for many things like wall decorations or room dividers. You can even use a curtain to cover the entire wall, like the function of wallpaper. It’s certainly simpler and cheaper because curtain can be changed anytime and easier to maintain. Also, the trick is to install curtains behind the sofa; as a backdrop. 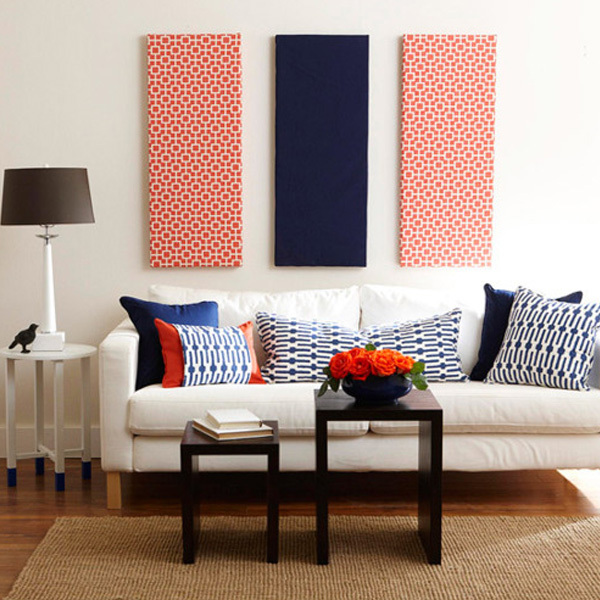 To be more integrated with the living room decor, avoid contrasting hue combinations. But if you like something unique, don’t be afraid to coordinate contrasting patterns and colors. Just do it according to your style! If you want the curtains more blended with the whole decor, choose a suited pattern, color, and fabric which can be adjusted with the chairs. For the classic look, silk material is more suitable of course. 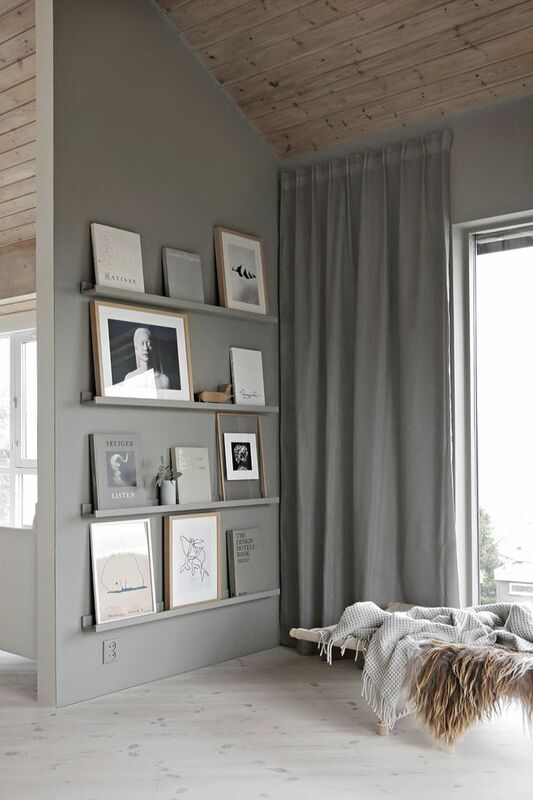 While for a casual room, you should choose linen for the curtain and couch. But remember, selecting colors and patterns for the curtain and chair is very important to anticipate. Brown and yellow, for example, are much fitted to bring together. They don’t need to have the same pattern, but the color does need to be harmonious. You need to do it to avoid an unbalanced look. Well, every living room needs a proper curtain to turn it on. Therefore, the curtain selection must be adjusted to the needs of a space. Not just based on the aesthetic value alone. For a small space, light and airy curtain are the most suitable. So, pick the light fabrics like sheer. It can give a larger and brighter look. Also, sheer fabric is easy to pass through the sun, without making your privacy exposed. Working with a plain sheer curtain certainly feels boring, so choose the one which has a pattern. 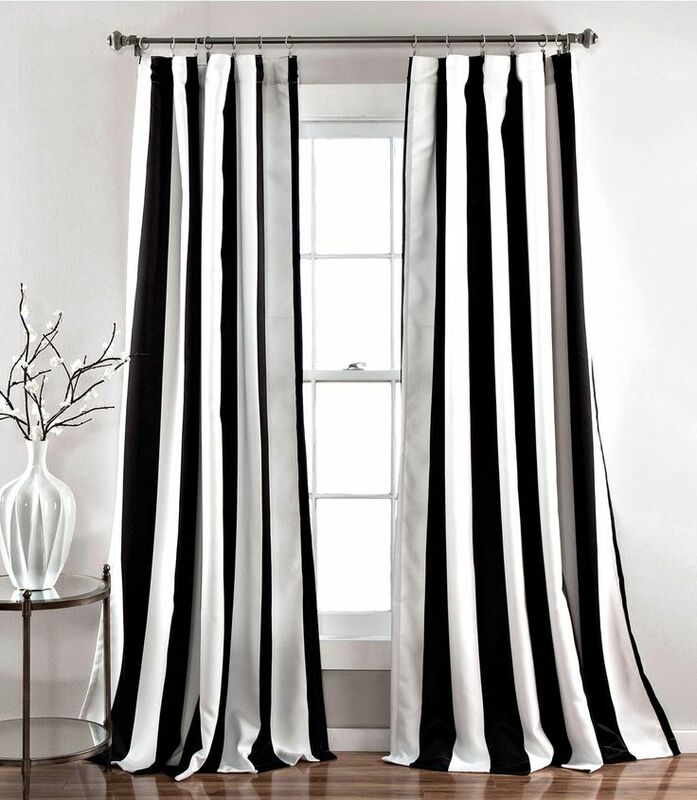 Curtain with wide stripes, for example, can use to stun the room. The appearance may seem simple, but it can boost the elegant and calming aura in the room. Have you been inspired after reading these six living room curtain ideas? No matter how small a room is, it will be still charming if you manage it in the right way. So, take your time to start executing those ideas at home.